GIRO develops and implements integrated software solutions for public transport companies and postal agencies around the world. The company is recognized for its continuous product evolution, advanced algorithms, and the exceptional support and service it provides. Each year, Giro hosts a racing event known as GrindUro. In order to promote the event, build hype, as well as capture memories, they use StoryBox to display customer photos & videos from the event. Giro utilized StoryBox's CSS access to create a completely custom Display Gallery for this page. They also utilize StoryBox's geographic location filtering to find the best photos and videos from their customers at this event. 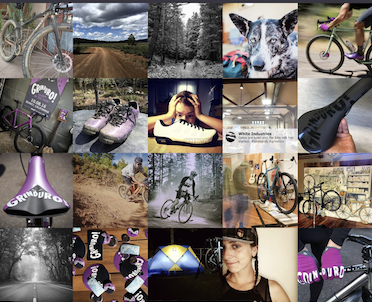 Giro utilizes our StoryReel Display Module on every Product Detail Page for their cycling and snow related products. Whenever a website visitor looks at a product, they are seeing social proof from other customers just like them. Rather than relying on models or stock photos, Giro harnesses the authentic power of customer generated photos and videos. StoryBox's system automatically identifies the product on the Product Detail Page, and only shows photos and videos from customers related to that product.